Confused about the complexity of the patient experience? Many clinics, departments, hospitals and health services are placing a greater importance on improving the patient experience. However, as the term 'patient experience' is broad and is loosely defined, it can be a struggle to know what solution your patients really need - and what you need to do about it! NEXA in partnership with Energesse is hosting this online masterclass to share case studies and best practice to help you define a clear, strategic methodology to help you BEGIN and ADVANCE your improvement efforts to get the best outcomes, return on investment and minimise wasted effort. In this webinar join the CEO of Energesse, Dr Avnesh Ratnanesan (Avi) and NEXA’s Service Design Manager, Katie Bowden to learn how to turn the complexity of the patient experience into meaningful improvement. If you work in a healthcare organisation and are interested in improving your patient experience then don’t miss this webinar. Can’t make it? Register and receive the recording. 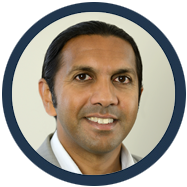 Dr Avi Ratnanesan is the Chief Executive Officer of Energesse, a leading firm that specialises in improving patient experience and customer experience in healthcare. 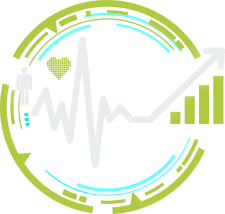 Energesse provides thought leadership in patient-centred innovation and technology solutions including MES Experience for real-time patient feedback and PanSensic for free-text analytics of patient stories. Dr Avi's career began as a medical doctor in the UK and Australia following his degree from the University of Sheffield. After an MBA (Honours) from the University of Queensland, he ventured into biotech and pharmaceuticals with responsibilities including Chief of Staff at Pfizer Australia, leading the innovation agenda and helping grow the organisation to over a $1 billion in annual revenue. Avi is an extraordinarily enlightening, inspiring and highly rated speaker whose exploits have been featured in the following media: Sky News, ABC, SBS, Channel 11, SMH, Insurance Business America and more. As a former medical practitioner, corporate strategist and technology innovator, he is making a difference in the world by advising teams, organisations, businesses and governments. Dr Avi is also a customer analytics expert, ably guiding organisations with actionable insights towards competitive advantage and higher ROI. Katie is passionate about informatics and digital healthcare and for the past 11 years she has worked as a Health Information Manager across a number of Local Health Districts in NSW Health. She has been involved in numerous electronic medical record implementations and upgrades including several modules of Cerner Millenium and MOSAIQ (Oncology Information System). 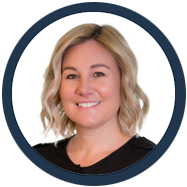 Katie has worked closely with outpatient facilities concentrating on change management and striving for best practice as a result of streamlining future business processes. She excels at project management and successfully implemented Q-Flow at Prince of Wales Hospital within Cancer and Haematology Services earlier this year. Every day, everywhere in Australia and beyond, NEXA is helping to make more than 100,000+ customer interactions matter. Every day before we had NEXA’s Patient Flow solution, we would have two queues, from the reception desks … out the front doors and this would impact on ambulance staff and other critical visitors… now we haven’t had one queue! This solution has relieved front line staff and has immensely improved the patient experience. The real time reporting capabilities of Q-Flow means we now have timely, accurate information upon which we can evaluate choices. We have the data to make informed decisions to keep improving our service to the public. The NEXA project team were extremely insightful and understood both our clinical and technical requirements.